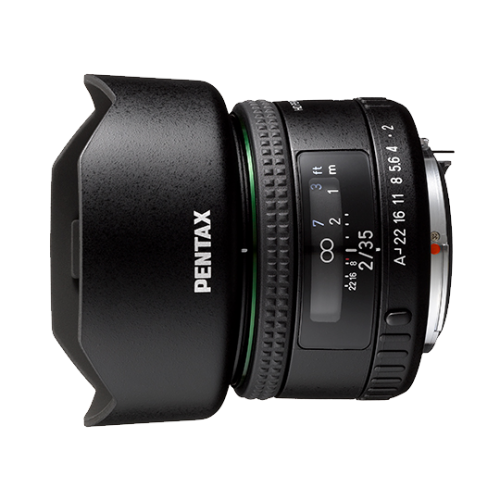 The HD Pentax-FA 35mm f/2 lens is now officially announced. The price is $399.95/£399.99. Shipping will start in February. 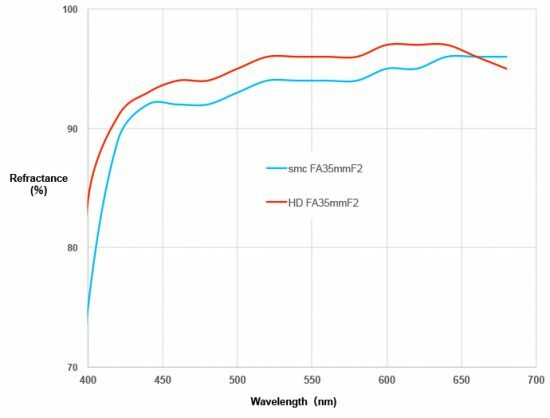 After a thorough review of the lens coatings applied to the popular smc PENTAX-FA35mm F2AL, PENTAX applied the latest HD Coating* to this lens. Compared to conventional multi-layer coatings, this high-performance, multi-layer coating reduces average reflectance and improves light transmittance to deliver extra-clear, high-contrast images free of flare and ghost images, even in demanding lighting conditions such as backlighting. While retaining the overall size of the original smc PENTAX-FA35mmF2AL, this lens features a totally new exterior design, similar to that of the latest DA- and D FA-series lenses. 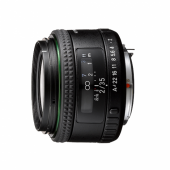 This new appearance makes this single-focus lens a perfect partner for latest K-series digital SLR models. 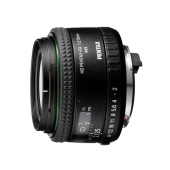 Since this lens retains the aperture ring, it also accommodates many of the functions provided by film-format SLR cameras and older K-mount digital SLR models, making it possible to enjoy photography using a greater range of cameras. When mounted on a PENTAX digital SLR camera body, this lens provides a moderately wide 35mm angle of view with a full-frame model, or a standard 53.5mm angle of view with an APS-C-format model. 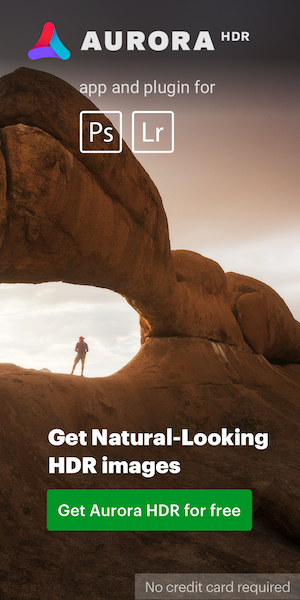 Since it provides a natural perspective similar to that of the naked eye, it can be used as a multi-purpose standard lens in a wide range of applications, including snapshooting, scenic photography and portraiture. 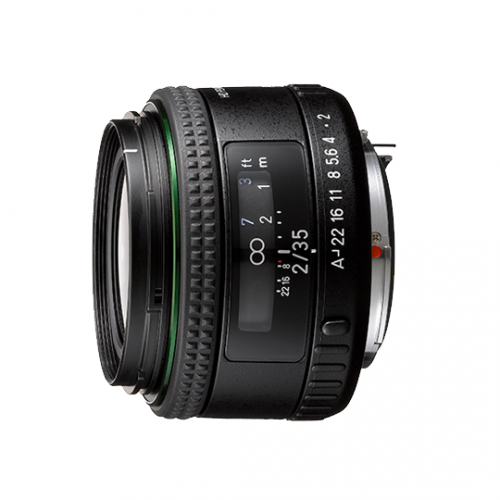 It also features a minimum focusing distance of 0.3 meters. Weighing approximately 193 grams and measuring a mere 44.5 millimeters in length, this lens has been designed to be extremely compact and highly portable for carefree photography at any location and on every occasion. 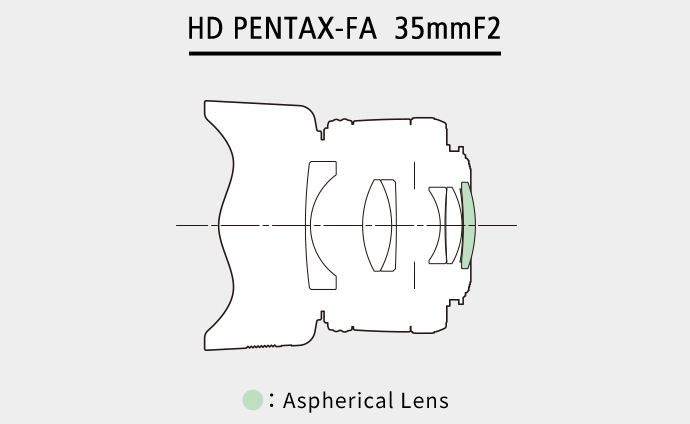 The development of this new lens was based on the smc PENTAX-FA35mmF2AL — a very popular multi-purpose, wide-angle lens used on film-format SLR cameras — while conducting a thorough review of lens coatings. The high-grade, multi-layer HD Coating has been applied to the optical elements to produce high-contrast images with edge-to-edge sharpness and free of flare and ghost images; the highly stain-repellent SP Coating has been applied to the front surface to improve the lens’s usability in outdoor locations. The exterior has been totally redesigned to match the design of latest PENTAX K-mount digital SLR models, while its compact, portable body makes it a perfect everyday-use lens. *Please apply the latest updater of Digital Camera Utility 5 when you handle images taken by this lens on Digital Camera Utility 5. In case the software version is old, the name of this lens can not be displayed correctly. Digital Utility 4 and below can not display the name of this lens correctly. This entry was posted in Pentax lenses and tagged HD PENTAX-FA 35mm F/2 lens. Bookmark the permalink. Trackbacks are closed, but you can post a comment.